A Sherpa man who helped lead a team up Mount Everest as a part of an ASKfm cryptocurrency publicity stunt is presumed dead. In an effort to promote their initial coin offering, the social media platform ASKfm sponsored four “crypto enthusiasts” on their climb of Mount Everest, so they could bury $50,000 worth of the company’s cryptocurrency, ASKT, at the peak. The team made it to the top on May 14. A promotional video encourages others to scale the mountain in search of the crypto wallet. The conceit of the stunt, according to a promotional blog post, was that the company is racing to take its cryptocurrency “to the moon”—an apparent reference to dogecoin, a meme-inspired cryptocurrency that was started as a joke in 2013. Everest is the closest they could get to the moon, on foot at least. But this bad metaphor for crypto’s success has been mired by a tragic death. Of the official ASKfm team, only one mountaineer was harmed—Taris Pozdnii developed frostbite on his feet and fingers, according to a report from The Financial Times. But one of the people who led the expedition, Lam Babu Sherpa, did not make it down from the mountain. ASKfm CEO Max Tsaryk told The Financial Times on May 25 that the company knew someone had gone missing, but the status of the Sherpa was unknown. When asked for further comment, an ASKfm spokesperson rebuked the spread of false and unconfirmed information surrounding this incident and referred Gizmodo to Tsaryk’s interview with the outlet Finance Magnates, in which the CEO discussed the event and chastised coverage of it. 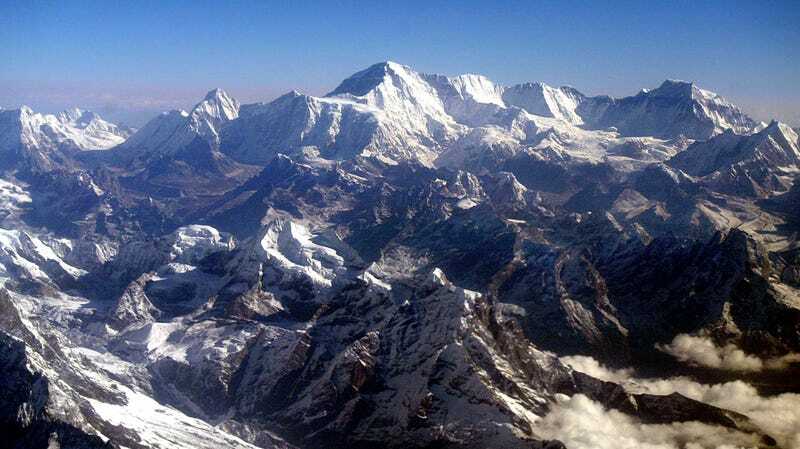 In the interview, Tsaryk explained that an investigation has shown that after reaching the peak, the team and its three Sherpa guides had to quickly descend due to weather conditions. During that decent, the three Sherpas fell behind, and only two made it to camp.